Rafael Aznar Garrigues is the General Manager of the port of Valencia. Born in Valencia, Rafael studied roads, canals and ports at the Universities of Madrid and Valencia Polytechnic. After graduating in 1974, he continued his education with a Masters in Economics and Business Management (MBA) from the Polytechnic University of Valencia and the PADE-Management Program from IESE Business. 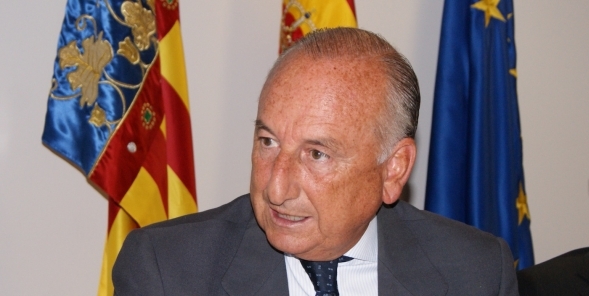 Aside from his main professional duties as the Chairman of the Board of Directors of the Port Authority of Valencia, Chairman of the Board of Directors of the Valencia Intermodal and Logistics Platform (VPI Logistics SA), and President of the Valenciaport Foundation, Rafael holds many positions in academic, civic, business and award organisations. Valenciaport comprises the ports managed by the Valencia Port Authority: Valencia, Sagunto and Gandía. This strong combination makes it Spain’s leading Mediterranean port in terms of commercial traffic, basically containerised cargo, particularly because of its dynamic area of influence and an extensive network connecting it to major ports around the world. Valenciaport is a tightly knit Port Community due to innovative elements like the Seal of Quality Guarantee and the Community Information System (S.I.C.) and is formed by all economic agents who provide their services through the ports of Valencia, Sagunto and Gandía. Valenciaport is not only a key element in promoting the Valencian Community abroad but also the maritime gateway for production and consumer goods to and from the entire Iberian peninsula.